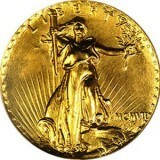 In Ancient Greece, gold coins were rare because gold itself was rare and hard to find. 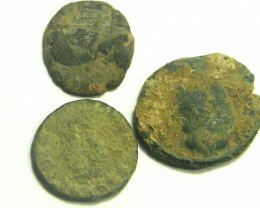 The mountains of Greece were poor in metal resources and this metal was brought either from Thrace or from today’s Georgia. The Greek cities that minted gold coins were usually from Asia Minor and had commercial contacts with the rich Persian Empire, from were they brought the gold. 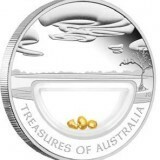 The gold coins were so rare that they were known after a particular name. 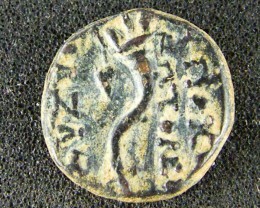 For example, the Persian gold coin was named daric after the name of emperor Darius that appears on one side, kneeling and holding a spear and a bow. 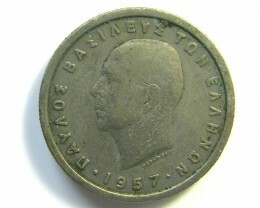 These coins minted by the enemy of Greece circulated a lot inside the region, despite the political and military conflict between the 2 sides. Phillipus II took the power in 359. His state was poor and his authority weak and it was contested by a large number of noblemen. Macedonia was located in high mountains, with no resources and the population lived mostly from growing sheep and goats. The Macedonians were considered rude and primitive and, for example, the Romans said about the Macedonian aristocracy: “they sleep with their sheep and if you see the wives, you can hardly blame them”. But this was only a malicious comment made by people who considered themselves superior. In a series of campaigns, Phillip was able to make his borders safe, to enlarge his small state and by brute force he eliminated his rivals. He reformed the army and improved the strategy. He realized the importance of the trade routes and brought from Thrace, today’s Bulgaria, the necessary goods to trade with Greece and brought from Greece what he needed to trade with the northern parts. Then he turns his attention towards south. The Greek cities were fighting for a long period of time and weren’t able to resist. Phillip realized the weakness of the cities. He used to say that no city can resist to a donkey full with bags of gold… And he was right. With the gold earned from trade, he minted a coin, with the name and value of one stater, made from pure gold, with a weight of around 8,5 gr. and a diameter of 20-22 mm. On obverse it shows a beautiful laureate head of the god Apollo to right and on reverse a quadriga or a triumphant chariot, with 2 horses, driven by a charioteer towards right. 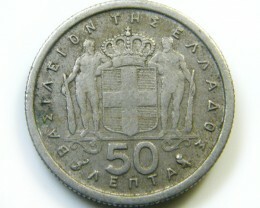 On the exergue, the word FILLIPOU (with Greek letters) or “the coin of Phillip” appeared. This coin was nicknamed “Fillip’s coin” and it became in a short period of time the most important coin of the region, used in commerce. 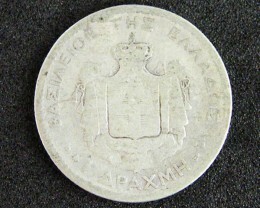 It was minted in several cities, including Pella, the capital of the kingdom, and it was so popular that Alexander the Great, his son, continued to mint this kind of coin, in the name of his father, because of its importance. Phillip died in 336, killed after a banquet by one of his bodyguards. 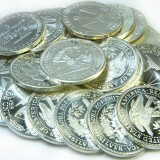 These coins are now rare and expensive, as same as most of the gold coins of that time. The material value is important and so are the artistic features. And he was right, from 323 BC, his death, to 281 BC, the death of his last general, battles and crimes between the diadoch, or successor in Greek, were everyday events. In 323 BC when Alexander died, his empire was the largest of the world and it practically was the world… Alexander conquered the entire known world and, for example, when he reached the Indus in 326 BC, the border between India and his empire, it is said that his troops decided to stay there and advance no more, because they reached the edge of the world. Seleucos was the son of Antiochos, a noble from Macedonia. He was the same age as Alexander and was probably born between 358 and 355 BC. When he was 12 he became page and stayed close to Alexander who took him as a friend in his campaign. From 334 and 327 BC, he was a member of the elite cavalry or the heitairoi . In 327, the time of the Indian Campaign, he was given command of the Silver Shilds, the elite of the Macedonian Infantry, and led them in the most important moment of the battle, the attack against the elephants of king Porus. After the campaign, he accompanied Alexander to Babilon. There he was a member of the aristocracy but only as a second class member, unlike the great generals of Alexander. There he married his wife, Apama, a Persian princess, and also his second wife, a daughter of Darius III, the former king of Persia. When Alexander died, the power was divided by Alexander’s insane half brother, Phillipus and his unborn boy, Alexander the IV. The authority was exercided by the old generals, Perdiccas, supported by Ptolemy, Lysimachus, Eumenes and Pheiton. But Ptolemy betrayed Perdicass and was forced to fight him, after making and alliance with Perdiccas enemy, the general Antipatros, and his son Cassander. Also at that time, the old general Antigonos One Eye and his son, Demetrios, started fighting against all of the successors by trying to control the western part of Asia. As a commander of the silvershields, Seleucos was an important commander but not a powerful one. He was appointed commander of the cavalry and also was given the rank of chiliarh, something between a colonel and general of the modern times. Because Perdiccas needed a loyal general, he was nominated in 320 as satrap or governor of Babilon, the capital of the empire, the most important and the richest province but with limited military power. He was able to rule this province only until 316 when in a new context he was attached by Eumenes, on Antigonos order. But Eumenes betrayed Antogonos and Seleucos joined Antigonos against him. These moments revealed that Seleucos, unlike most of his friends or enemies, had the ability to wait for the right moment and not blaze into the battle. In 315 Antigonos entered Babilon and had a warm welcome from Seleucos, governor once again. But the good relations were only short term and Seleucos is forced to run once again, this time to his old friend Ptolemy, governor of Egypt. But this moment was a great turmoil, because in Macedonia, Cassander murdered the king, Philip the Mad, his wife Eurydice and Alexander’s mother, Olympias. In Egypt, Seleucos was appointed admiral of the fleet, one of the most powerful of that time and continued to fight Antigonos, also with the help of Ptolemy. This lasted from 314 to 311 BC. In 312, Seleucos defeted Antigonos son, Demetrios Poliorketes, and headed back to Babilon. When he entered the capital, this time forever, he was given the name Nikator, from the word Nike, or Victory in Greek. Also that year became the first year of the Seleucid era and the count of time started with Seleucos. From 311-302, his campaigns were made in the east. The rich provinces from there were revolting and he was forced to keep his government strong. He was able to reach the Indus river and there he made a treaty with the Indian kings. From there, he bought a very important category of weapons: the elephants… he was the only ruler from the western part of the Indus that had these threatening animals. After the Eastern Campaign, he was able to go once again at war against Antigonos and Demetrios. But in 305 Antigonos made a serious thing that changed history… he proclaimed himself king. No general ever dared doing that. Only a member of the royal family can held the supreme power. Immediately, Ptolemy, Lysimachus, Cassander and Seleucos followed him and this meant the end of Alexander’s empire. Alexander’s son was also assassinated, together with his mother, and war erupted between Antigonos and Demetrios on the one hand and Ptolemy, Cassander, Lysimach and Seleucos on the other hand. On 301 BC at Ipsus, the decisive batlle took place between the kings. Antigonos was killed during the battle and Demetrios was forced to flee. The 4 allies split the Antigonos empire and Seleucos was given the Syrian parts and Asia Minor. Syria soon became a problem. In that moment Ptolemy wanted that province also but he was able to manage the problem with his old friend and supporter. His son, Antiochus Soter, and Ptolemy son, Ptolemy Philadelphos, started a terrible war for this rich region, fight that lasted for generations and had weakened the two empires. From that moment on, Seleucos started to organize his empire, the largest of all. He founded in 307 a large capital on the Tiger River, Seleucia. In Syria, he also made Antioch on Orontes, named after his older son, Antiochus Soter (the Savior). Apameian on Orontes and Laodiceea in Syria were other 2 large cities, named after his two wives. But in 282-281 he was forced to go once again in battle. After 301, Cassader was assassinated and Demetrius was proclaimed king of Macedonia, in Cassader’s place. Demetrius also invaded Asia but he was taken prisoner by Seleucos. Lysimach took then the Demetrius possessions but a conflict erupted between him and Seleucos because of Ptolemy’s son, Ptolemy Keraunos. At Couropedion in 281, the two last living generals of Alexander meet in the battle and Lysimach was killed. His coinage is very spectacular. He had the opportunity to access large quantities of precious metals. The commemorative issues are sometimes more spectacular. Sometimes the king’s portrait appears, with a helmet. One issue shows the head of Zeus on one side and a quadriga pulled by elephants to right on the other, a tribute to the main military weapon of the empire. Also he has a large series of copper coins, for local trade, with some spectacular coins. One of this coins shows the head of Medusa, the woman that stoned everyone who looked at her on one side and a bull butting right on the other.